Brothers find adventure under the water while helping the community. When you work at a 24/7 production facility that produces 68 million gallons of ethanol every year, it takes commitment, endurance, loyalty and teamwork. But at POET Biorefining – Mitchell, do you know what else it takes? Jason and Jeffrey Nedved are brothers who both work at the ethanol plant in Mitchell, SD. Jason began in April of 2014 and, after helping his brother also join the team, Jeff came on board in October of that same year. They both work in operations. The brothers have ambitious schedules with a lot of responsibility. They both work rotating 12-hour shifts with crews of four, maintaining equipment, checking samples and running the plant in a control room. But they welcome the rigor. And Jason appreciates the opportunity to be a part of something so big. Becky Pitz is the General Manager at POET Biorefining – Mitchell, and she says the Nedved brothers are a great addition to the plant. And they work well together, which is fortunate. Because when they aren’t in the office, they’re still spending ample time together. Jason and Jeff’s dad is Steve Nedved, and he owns and operates Dakota Scuba in Mitchell, SD. A few years ago, Steve says he originally got certified in public safety diving for the local fire department, where he is also the captain. He received all of his certifications to become a dive instructor and opened Dakota Scuba in 2014 just so he could train dive teams locally. But the community was intrigued, and it wasn’t long before a recreational component to Dakota Scuba took off. “I never really imagined that South Dakota would be a spark for scuba diving, but one thing led to another, and pretty soon, we were getting equipment and opening a shop,” Steve says. Of course, Jason and Jeff jumped right in to help. In fact, they had been certified scuba divers since they were teenagers. It paid off. Today, Jason and Jeff are both certified master scuba divers, which means they’ve completed at least 50 dives and specialty certification in five different areas. Steve says this certification is the “Eagle Scout of diving,” and only 2 percent of divers even achieve this rating. “They’ve got a lot of experience, and now they are working on their divemaster,” Steve says. A divemaster is a step up from where Jason and Jeff are now and is a professional dive leader who’s completed over 100 dives. 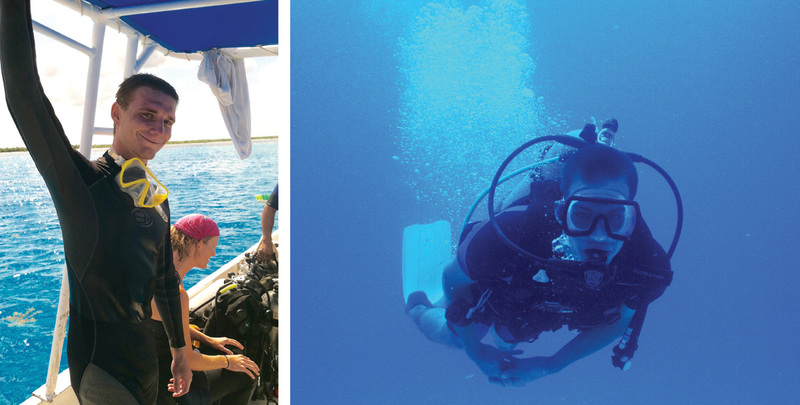 Divemasters can guide any certified diver as well as assist dive instructors, which is what their dad is. But their knowledge of diving isn’t all for recreation. Along with work at POET Biorefining – Mitchell and helping at Dakota Scuba, Jason is also a volunteer for the Davison County Search & Rescue and says he is developing a dive team there. With his master diver certification, he’s been able to help with serious rescue missions in the area. Steve says rescue missions include going out in low visibility to look for submerged vehicles or drownings. Steve says the fire department and search and rescue teams received several calls last summer alone for public safety dives, including a serious rescue mission last year in Yankton, SD. Jason and Jeff are helping to change the world at POET Biorefining – Mitchell, but as rescue divers, they can save lives too. It’s courageous work. And, diving is a lot of fun. 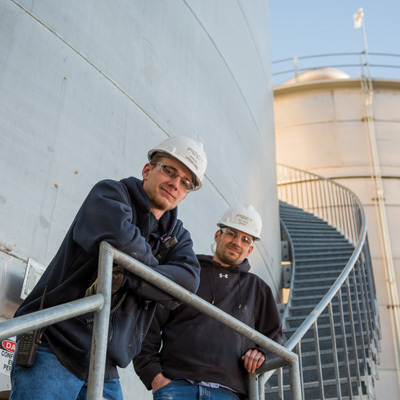 Jason and Jeff work hard, and General Manager Pitz says their passion outside of work and investment into community only adds to their potential at the plant. And a real appreciation for life. 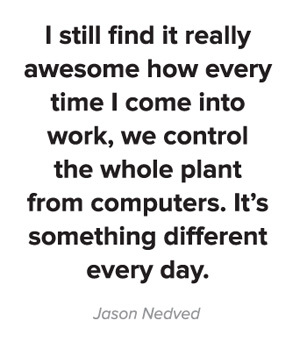 Jason and Jeff both say they love being a part of a company that’s changing the world and “looking at energy under a different light,” Jeff says.